Many of our French students find that speaking with a French-sounding accent can be quite tricky – so could “lé Authentic Francais Accent Translatair” help? Written by Sean Payne the authentic French accent translator website at http://www.payneful.co.uk/projects/french-accent-translator/ boasts “Now you too can speak English wiv an authentic Francais accent! Just taypé what you wént to sai below een le téxt box below ét clik la magic button to transfairm eet into an authéntic Francais diailect!” Putting aside our initial concerns that writer of this product has added a totally unnecessary accent to the word “type”, making it a 2-syllable word, we gave this French accent translator a go. We typed “Please can I have a bottle of your best red wine”, pressed the “Mak eet Francais!” button and crossed our fingers! The text was returned as “Pleasé can ai ‘ave a bot-tell of yur best red win”. Hmm, again that unnecessary acute accent on the “e”, which actually makes the word sound like “please –eh”, but it is quite fun reading the whole sentence in a Peter Sellers comedy French accent! So we tried “How do I get to the post office from here?”. This came back as “How do ai get to la post office from haire?” which is just plain wrong, and not authentic at all. 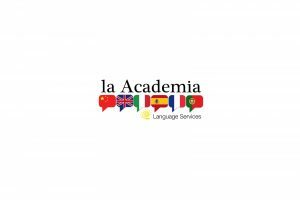 We’d recommend if you DO want an authentic French accent that you come to la Academia where we have native French speakers with real French accents. Oh, and they will teach you how to speak the language, not just make your English “sound more like French”! A funny accent translator may make for an amusing evening down the pub, but if you want to communicate properly in a French bar, contact la Academia – we’ll have you sounding properly French in no time!